The UML diagram which is used for describing any systems, from the computer program to business processes is known as state Diagram. It is used to model the behavior of an object, which specify the sequence of events that an object goes through during its lifetime in response to events. 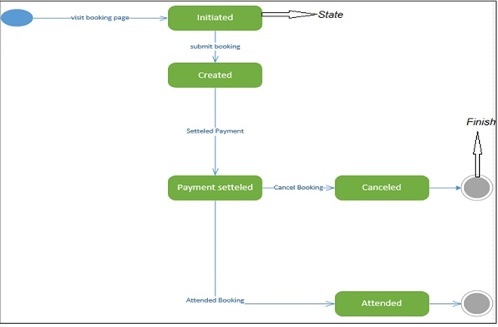 In the given example of State Diagram there are five states: initiated, created, payment settled, canceled and attended. The user will start by searching the ticket what he required, the getting the desire result. He will book the ticket and settle for payment then there will two condition i.e. if the user settle the payment or second will be he will cancel the payment. If he cancel the ticket then there is no need of payment process and if the payment process is conformed then the user make the payment. It is used to model dynamic nature of the system. State diagram is used to describe the life time of an object. By the use of state diagram the state machine is defined to model states of an object. 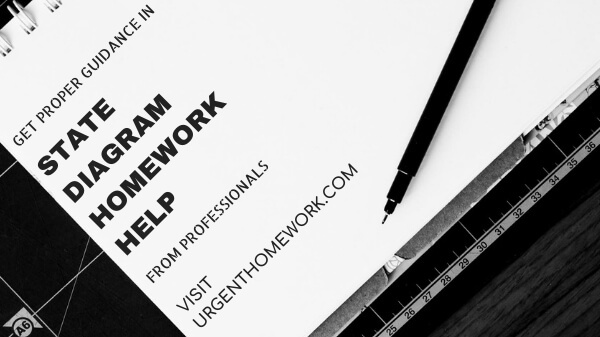 If you need homework, assignment, coursework help in State Diagram contact our online chat support.